Most people get nostalgic when they revive memories of their childhood or student years, which naturally come to symbolize a time of freedom and carelessness. You can even be nostalgic of a certain period of your life which you remember as being particularly happy. Finally, you can be nostalgic about what you used to have but can’t find it anywhere anymore, as the passage of time has made it disappeared from sight. A classic car for example is something we can’t see elsewhere other than a motor show which is dedicated to the love of vintage. You can’t actually drive a vintage car of the 1950’s on the streets of London as we speak; the technology used in building cars has changed dramatically since then! 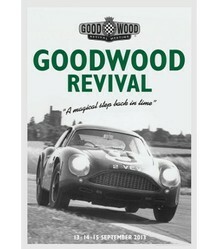 However, this is exactly why events such as the Goodwood Revival will always find an audience. For some of us, it is not always easy to forget what was once out there! The love and dedication for the old things, even if they are not very functional nowadays, is not something weird or hypocritical. It rather expresses the feeling of nostalgia we discussed before. Sometimes you can even be nostalgic for something that you haven’t actually lived and experienced. In other words, I don’t think that the visitors of the Goodwood Revival ever lived during the 1950’s, an era that most of the cars presented at the festival belong to! Nevertheless, the visitors of this unique show surely feel very much close to them. 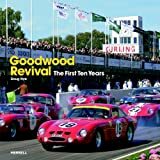 The Goodwood Revival festival actually honors – by trying to recreate - the classic auto show Goodwood Motor Racing Circuit, which was on from 1948 till 1966. All of the cars that compete for the modern version of this classic festival of cars are actually the very same ones that participated in the original races! Having this in mind, one thing is for sure: car aficionados will always pay their respect to history. The festival celebrated this year a number of special occasions: the 50th anniversary of the MINI Cooper S and the 90th anniversary of the BMW Motorrad, which is the brand’s motorcycle division. BMW presented a number of old classics. Even luxurious Jaguar participated with 30 cars! 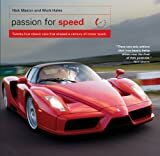 Performance cars will always occupy a special place in the hearts of everyone interested in cars; it’s all about power and speed, if you’re somehow still wondering what’s all about. Many special guests honored the festival with their presence. Nick Mason, drummer of the legendary rock band Pink Floyd, demonstrated his eternal love for racing cars; Rowan Atkinson, who is of course better known as Mr. Bean, also participated for yet another time in the festival; many former or current professional drivers were also present such as Tom Kristensen, Henri Pescarolo, Tom Coronel and Jean Alesi, among many others. It is true that there are plenty of auto shows and festivals around the world. Every each one of them, though, has its own devotees; cars are still an object of desire for many of us. Even if you’re not the most devoted fan of cars, it’s hard to resist the classic beauty of cars that have surpassed the test of time. Cars will always be a symbol of freedom and success; their owners will always brag about them as they do it with some of their own personal achievements in life. “Your car is your second house”, a guy once told me confidentially. I admit that I was surprised at first, but later on in my life I realized that he must have been absolutely right; it is in there that we spend so much time in our daily lives and it’s a place where you can be all alone with your thoughts, if you want. Sounds ideal, don’t you think!? I always thought the Indianapolis 500 was the most celebrated race. I will confess my ignorance. I have never even heard of this racing festival. But I recognized Mr. Bean. Mini are lovely cars indeed Maggie! Thanks for commenting! Beautful cars... I had read somewhere that Rowan Atkinson collected cars. Fun to see him in action. Not sure Derdriu. Seems to me that Mr.Bean is a part of his life even when acts as Rowan :) Thanks for commenting! JohnnyKnox, Did Rowan Atkinson act like Rowan or was he in "Mr. Bean" mode behind the wheel of a car? I like your theme of nostalgia because it certainly explains how I feel when I look at pictures of my father's ancestors in the first Fords. Also it accounts for how I feel when I read about the evolving designs in sports cars. Thank you for brightening Cyberland with such a nicely written and illustrated thought piece. It is a classic line indeed writerartist. Thanks for stopping by! Time to get nostalgic with the good old memories and vintage cars. Truly classic line of cars and fit for celebration. That's definitely true tolovaj! Thanks! It looks nobody was bored in Goodwood... Beautiful cars!